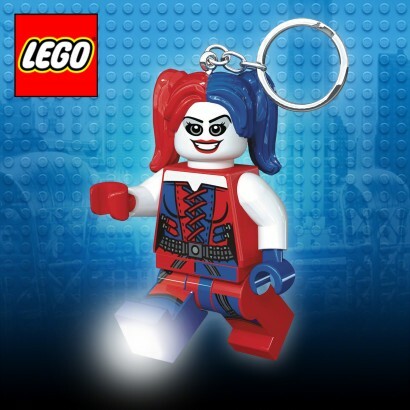 The Joker's sweetheart and Suicide Squads kookiest member Harley Quinn has been re-designed by Lego to make this LED keyring light. 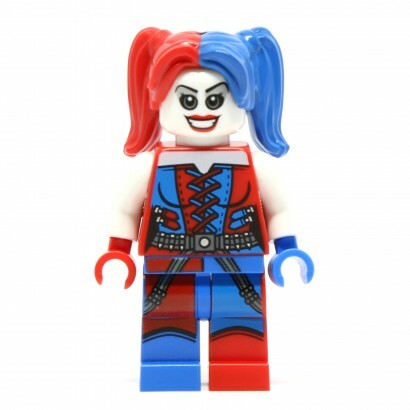 Compete with her two tone outfit and wide smile, press her tummy and Harley Quinn's feet will light up with bright white light to guide your way. Attach to bags, keys and more for comic book style and emergency light.